Ayaz, who spoke while on his way from Texas to Virginia, said he was not aware of any signs of trouble in the months leading up to the tragedy. 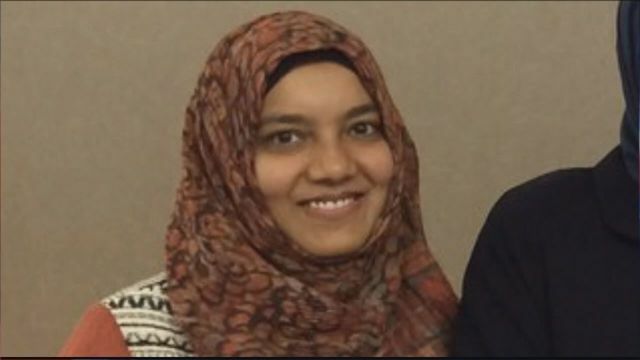 His sister’s family lived in a large single-family home among other prominent members of the nearby All Dulles Area Muslim Society (ADAMS) mosque, where she and her ­family worshiped. The ADAMS imam and other ­officials did not respond to ­requests for comment Thursday, but the mosque posted a brief message on its Facebook page saying counselors were available for the grief-stricken. Noera Ayaz’s husband ­discovered the two slain children about 6:20 p.m. Wednesday, police said. A friend who ­answered his cellphone said the husband was a private person and did not want to speak about what happened. Fairfax County police said that they are still investigating the events that led up to the deaths. The medical examiner was scheduled to conduct autopsies ­Thursday. Ayaz said his sister had a biomedical degree from Brown University and a law degree from Columbia University’s law school. Ayaz said he and his sister grew up in Upstate New York and that she had lived in Qatar before moving to the D.C. area in recent years. An online article in a Turkish newspaper from 2016 listed ­Noera Ayaz as the director of the New York-based nonprofit group Women in Islam, which aims to empower women and focuses on social justice issues. The article also said she worked with ­victims of domestic abuse and helped them obtain legal ­immigration status in the United States, among other projects. Women in Islam did not respond to requests for comment. The article said she was awarded the Sanctuary for Families Award for Excellence in Pro Bono Advocacy for her work with abuse victims. She was also listed online as an immigration attorney with the Herndon-based nonprofit immigration group Just Neighbors. Erin McKenney, executive director of Just Neighbors, said they are “devastated.” Ayaz had worked with the group as a contractor for a few months. Press reports listed her as working with the Council on Islamic American Relations in New York in the early 2000s. Officials with the group in New York said no one currently on staff had been with the organization during that period. She had also worked as an associate at the law firm of Baker Botts LLP, where she focused on intellectual property. The Turkish outlet, the Daily Sabah, said she had traveled widely in Japan, Malaysia, Saudi Arabia, Thailand, Turkey and other countries. The killings come about a month after police said another Fairfax County mother fatally shot two children. Veronica Youngblood, 33, has been charged with murder in that case. NextBaby passed away day before Eid – Fouda Bangura.